Led by Jennifer Lewis, the Hans Thurnauer professor of materials science and engineering, and Jennifer Bernhard, a professor of electrical and computer engineering, the team published its work in the journal Advanced Materials. While it looks like a typical silver rollerball pen, the pen’s ink is a solution of real silver. After writing, the liquid in the ink dries to leave conductive silver pathways – in essence, paper-mounted wires. The ink maintains its conductivity through multiple bends and folds of the paper, enabling devices with great flexibility and conformability. “The key advantage of the pen is that the costly printers and printheads typically required for inkjet or other printing approaches are replaced with an inexpensive, hand-held writing tool,” said Lewis, who is also affiliated with the Beckman Institute for Advanced Science and Technology. The ability to create freestyle conductive pathways enables new possibilities in art, disposable electronics and folded three-dimensional devices. For example, the researchers used the silver pen to sketch a copy of the painting “Sae-Han-Do” by Jung Hee Kim, which portrays a house, trees and Chinese text. The ink serves as wiring for an LED mounted on the roof of the house, powered by a five-volt battery connected to the edge of the painting. The researchers also have demonstrated a flexible LED display on paper, conductive text and three-dimensional radio-frequency antennas. Mentor Graphics is to support Freescale's Advanced Multi-Processing (AMP) Series of QorIQ multicore processors (below) with its Embedded Linux platform, open source tools and services, to deliver a unified workflow for Freescale customers. Freescale customers who are developing Linux-based applications using the AMP Series processors are expected to realize productivity and device performance gains when using the Mentor Embedded Linux platform. Freescale and Mentor Graphics have developed a unified workflow methodology for embedded Linux-based development, enabling customers to create innovative, customized applications with greater productivity and reduced risk. This fully integrated, vendor-independent solution helps project teams move from prototyping on reference hardware to custom-designed hardware running on commercial Linux and advanced development tools, in a seamless methodology. Coupled with a Freescale reference board, the Mentor Embedded Linux platform provides a smooth transition to help Freescale customers develop customized applications with more reliability, while accelerating design development time. The first announced product in the AMP series is the QorIQ AMP T4240 device which integrates hardware accelerators with 12 dual-threaded cores for high-end data plane applications. Availability of AMP series products is planned for Q1 2012. A key highlight of the Mentor/Freescale alliance is the continuity of workflow offered to the prospective embedded Linux developer. In the past, silicon evaluation was typically performed using the semiconductor-supplied Linux distribution, often without commercial tools or support. As momentum built in a project's lifecycle, developers commonly transitioned to commercial Linux support, often at the cost of time and optimizations with the shift to new and perhaps less familiar tools and build methodologies. By sharing a common build methodology and core optimizations, Freescale and Mentor address this challenge with the Mentor Embedded Linux platform. The platform provides a common build methodology and allows the development team to move to a supported, full-featured commercial distribution with minimal impact to the overall project. Support and maintenance are crucial to customers, so the Mentor Embedded Linux product includes comprehensive and unlimited support for development tools and core open source technologies. This includes access to the latest, stable and compatible open source technology, with updates on new cores, component versions, and defect resolutions twice per year. Mentor professional services are provided to help Freescale customers address unique product platform needs beyond standard support questions and reference configuration. The Mentor Graphics Embedded Software Division comprises the Mentor Embedded family of products and services, including embedded software intellectual property (IP), tools, and professional consultant services to help embedded developers and silicon partners optimize their products for design and cost efficiency. www.mentor.com/embedded. Showing there's still plenty of life in VME, Kontron has launched a 6U VME single-board computer (SBC) VM6050 with an Intel Core i7 processor at the Paris Air Show today. The VM6050 combines extremely high x86 computing and graphics performance with flexible and modular expansion possibilities in four different ruggedization levels so that OEMs can tailor the board to the individual requirements of new and existing applications and benefit from a reduced time-to-market. In addition, with Kontron's long-term supply program with availability of 10 years or more, OEMs can further optimize the life cycle and total cost of ownership (TCO) for applications. With hyperthreading and Intel Turbo Boost, the VM6050 speeds up multi-processing tasks and processes single-threaded tasks more efficiently by increasing the processor cycle on demand by up to 40%, without exceeding the defined TDP. OEMs can increase the performance of existing single-threaded applications without having to extensively adapt the software. Demanding graphics applications, such as those found in control centres, benefit from Open GL 2.1 support and accelerated DirectX 10 capabilities through better and faster visual display on up to two monitors. These features make the Kontron 6U VME SBC VM6050 an ideal fit for a broad range of applications in markets such as the aerospace industry, military technology, traffic and safety technology as well as video and image processing in medical technology. It supports VxWorks, Fedora Linux and Windows and is available starting immediately. The VM6050 is fully compatible with all Kontron's 6U VME products so OEMs can easily use the card in their existing designs based on the current line of both Intel and PowerPC based Kontron 6U VME SBCs without adjustments to the backplane. Designing systems around Kontron 6U VME boards allows the final product to span across different CPU architectures, which helps reduced development times as well as improve time-to-market and TCO of new applications. The Kontron 6U VME SBC VM6050 with Intel Core i7 processor and Intel QM 57 controller hub offers up to 8 GByte of soldered ECC memory. It can be expanded via two mezzanine sockets for up to two XMC/PMC or one FMC (VITA 57 FPGA I/O) cards. In the left mezzanine slot, 2x DisplayPort, VGA, USB, high-definition audio and additional GPIOs can be implemented via corresponding modules. This modular concept allows the board to be configured to the most varied applications. This modular COTS approach further minimizes implementation efforts and thus the time-to-market. It has on-board USB flash support for extremely secure and reliable performance and a system design without vulnerable storage media. In addition, the 128 KB NOVRAM guarantees the highest data security and provides a back-up of critical data in case of a power outage. Dedicated interfaces at the front include 2x Gigabit Ethernet and 1x USB 2.0 at dedicated interfaces and 1x serial port (SR-232/422/485). There are 2x Gigabit Ethernet, 2x SATA II, 2x USB 2.0, PCI Express x4, SRIO, GPIO and 32 I/Os for PMC 1 implemented on the backplane via the PO plug (VITA 31.1). In addition, Kontron's latest VME board also supports the double-edged source synchronous transfer (2eSST) which allows a data throughput of up to 320 Mbytes via P1, along with the 64-bit VME bus (VME64x). P2 routes 64 I/Os from the FMC and PMC 2 slot and 32 I/Os from the PMC 1 slot to the backplane. With the EZ1-VM6050 system, Kontron provides a solution for quick entry into evaluation and development of VME applications. In the compact (1U) air-cooled 6U VME rack system, developers get the Kontron 6U VME SBC VM6050 pre-integrated along with the associated rear transition module (RTM), so that they can immediately begin with application development. Freescale Semiconductor's next generation of QorIQ embedded multicore devices uses a new, multithreaded 64bit Power Architecture core, 28nm process technology, up to 24 virtual cores, new acceleration engines and sophisticated power management to deliver new levels of performance and power efficiency. The AMP series delivers up to 4x the performance of Freescale's previous-generation flagship eight-core QorIQ P4080 device and will include a broad array of next-generation control and data plane processors scaling from cost-effective, ultra-low-power single-core products up to highly advanced SoCs targeting the most demanding networking, industrial and military/aerospace applications. The AMP series is engineered to help network equipment OEMs and service providers meet challenging power and performance requirements driven by a worldwide explosion of network endpoints and associated IP traffic. According to Cisco, global IP traffic will quadruple by 2015 and reach 966 exabytes per year. The company also projects the increase in IP traffic between the years 2014 and 2015 alone will be 200 exabytes, which is greater than the total amount of IP traffic generated globally in 2010. "Exploding IP traffic rates and the proliferation of smarter, bandwidth-hungry consumer devices are dramatically increasing demands on next-generation networks," said Lisa Su, senior vice president and general manager of Freescale's Networking & Multimedia Group. "Our new QorIQ AMP series delivers the next wave of innovation for networking OEMs through leveraging Freescale's R&D strength, wealth of IP, and signature intelligent integration." The AMP series also incorporates many previous-generation QorIQ features such as CoreNet interconnect fabric, a cache-coherent memory hierarchy, hardware-based virtualisation for optimal performance and dynamic on-chip debug technology that provides deep visibility into complex software processes. "The new QorIQ AMP series underscores Freescale's continued investment in highly advanced multicore processing technology for its large roster of top-tier worldwide networking equipment manufacturers," said Linley Gwennap, founder and principal analyst of The Linley Group. "Following its strong execution in delivering first generation 45-nm QorIQ products to market, Freescale is well positioned for continued success with the 28-nm process technology and highly advanced new core and accelerators included in the new QorIQ AMP series." The devices will use an advanced power management approach that reduces energy consumption using a variable-mode power switch that allows customers to modulate the power of the cores and other processing units with independence and precision. Freescale's first product in the QorIQ AMP series, the T4240 device, integrates hardware accelerators with 12 dual-threaded e6500 cores, providing 24 threads to address high-end data plane processing applications. Dual-threaded efficiency, improved DMIPs per thread and higher frequency deliver 4x performance gain and more than 2x power efficiency gain over the previous-generation QorIQ P4080 device. Advanced capabilities allow for intelligent sharing and duplication of resources between threads and a larger amount of on-die cache per core. Application examples for the T4240 device include metro carrier edge routers, access gateways and aerospace/defence products. Freescale will provide more details regarding the T4240 product later this year. The device is planned for initial availability in early 2012. The AMP series is software-compatible with the PowerQUICC and QorIQ product families and has extensive development support including the CodeWarrior development suite and a rich third-party ecosystem for operating systems, tools and application software. Development tools for the AMP series are planned for availability starting Q1 2012. As portable devices become all the rage, compactness and thin profile have gone mainstream, so Apacer is introducing two industrial SSDs (solid state disks) targeting industrial tablet PCs and rugged mobile devices. The new offerings include the 2.5-inch SAFD 25M3 and the 1.8-inch SAFD 18S3, both of which are storage solutions boasting thin profile as well as high speed. The two next-generation ultra-slim SATA modular SSDs deliver high read/write speed of up to 115/90 MB/sec in half the size of typical 2.5-inch and 1.8-inch ones. Due to noiseless, shock-resistant and power-saving features, they not only meet customer demand for portable devices but also offer mobility and reliability for industrial tablet PCs and rugged mobile devices. Apacer’s next-generation SSDs, the SAFD 25M3 and SAFD 18S3, feature a superbly reliable SLC (single-level cell) flash memory and a built-in 7+15pin SATA connector. With a maximum capacity of 16 GB, they can operate normally in harsh temperature environments ranging from -40°C - +85°C. Given a small form factor, the two SSDs can be directly embedded into such applications as industrial tablet PCs and rugged mobile devices. Also among the pluses is the sequential read/write speed reaching 115/90 MB/sec; this provides portable devices with multiple advantages of thin profile, high speed and reliability. Between the two, the JEDEC MO-297-compliant SAFD 18S3 offers enhanced robustness while eliminating the concern of vibration with its screw holes on both sides, which help secure the SSD on the motherboard. To enhance the performance and lifespan of SAFD 25M3 and SAFD 18S3 after use for long periods of time, the two new SSDs are compatible with Windows 7. Powered by Windows 7’s optimization technology, it frees users from having to upgrade firmware and also gives a speed boost. As the operating time of blocks in the SSD is shortened, they can be erased more efficiently with the support of Windows 7 TRIM command for optimization, ensuring that the SSD runs great while prolonging its lifespan. Green Hills Software has teamed up with Australian provider of embedded wireless solutions Clarinox Technologies to promote both companies’ joint offerings. The Clarinox application suites and drivers for short-range wireless protocols – including Bluetooth, Wi-Fi and RFID – will be integrated with Green Hills Software’s INTEGRITY real-time operating system (RTOS) and the MULTI development toolchain to deliver comprehensive application support for developers of embedded systems that utilise short-range wireless protocols. “Embedded applications are increasingly requiring wireless connectivity, whether for communication, control or location purposes. Clarinox has created an extensive range of short-range wireless protocol stacks that, when combined with the Green Hills Platform for Wireless Devices, will provide application developers with unparalleled support in this area,” said Christopher Smith, vice president of marketing at Green Hills Software in the UK. Based in Melbourne, Australia, Clarinox Technologies provides Embedded Systems and Short Range Wireless solutions (including Bluetooth, RFID, ZigBee). Resolving the major issues confronting the embedded business community is the driving force for the Clarinox middleware and hardware reference designs. The primary story for USB in 2010 was the emergence of the SuperSpeed standard and 2011 should be a much bigger year for the technology, especially in mobile PCs, says market researcher In-Stat. This is driven by the first chipsets from AMD that integrate SuperSpeed into the core logic chipset with Intel expected to follow with its Ivy Bridge chipset in 2012. More than 3.5 billion USB devices shipped in 2010. High-speed USB is still the most popular USB interface, comprising over three-quarters of USB device shipments in 2010. Core logic integration is key to the acceptance of a new USB specification, because it allows notoriously cost-conscious PC OEMs to offer it for free. CE continues to be a key product segment for USB, with digital still cameras, digital televisions (DTV), set top boxes, and portable media players (PMP) among the most popular applications. This implementation is aimed at heart implants such as pacemakers but the approach is applicable to a wide range of embedded systems. 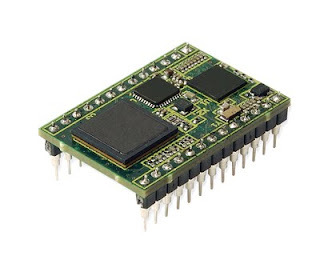 Texas Instruments has developed a family of microcontrollers with TI’s C28x core and control peripherals with an ARM Cortex-M3 core and connectivity in a clearly partitioned architecture that supports real-time control in a single, cost-efficient device. Software libraries for the key applications for the Concerto C2000 MCUs - digital power, motor control and renewable energy - are due in Q3 this year. To make them easy to use, the devices are supported by an intuitive software infrastructure as well as application and connectivity libraries within controlSUITE software. The series includes multiple safety and security features and is code compatible across the C2000 platform to enable scalability and code reuse in green applications such as intelligent motor control, renewable energy, smart grid, digital power and electric vehicles. Greener applications require the performance of a real-time control MCU to execute complex algorithms needed for precise, efficient power conversion, which is the essence of efficient motor control, renewable energy and smart grid technologies. But to take that efficiency to new levels that can dramatically save energy, these applications must also be connected for remote data sharing, diagnostics, monitoring and control. The $7 Concerto MCUs enable developers to do both real-time control and connectivity within one microcontroller, eliminating the traditional need to choose between optimal performance and advanced connectivity. The new Concerto F28M35x Experimenter Kit includes a F28M35x controlCARD and docking station to enable developers to easily begin evaluation and development. The modular controlCARD is hardware compatible with TI’s C2000 application-specific development kits, and software to further support development on the kits will be available later this year. Free, on-demand training for Concerto MCUs is immediately available online, and is a great way for developers to begin further exploring the optimized architecture, tailored features and easy-to-use software infrastructure of the devices. Available in a 144 QFP package, Concerto MCUs now start at $6.99 at 1K and samples can be immediately ordered at www.ti.com/concerto-es-lp-pr. The Concerto F28M35x Experimenter Kit is priced at $139. The Concerto F28M35x controlCARD is also available individually for $99. Both are immediately available to order atwww.ti.com/concerto-es-lp. There is an estimated 4 week lead time for samples and kits. Wireless sports & fitness monitoring developer and manufacturer Dayton Industrial has developed a heart rate chest belt that is ready to go into volume production using a Bluetooth 4.0 chip from Nordic Semiconductor. This means anyone that owns a smartphone with the latest version 4.0 of Bluetooth (that includes Bluetooth low energy as a hallmark feature) will be able to set-up and use a wireless heart-rate (HR) belt within seconds and so spur the development of a whole new range of Bluetooth low energy-based health and fitness apps that could include new ways of collecting, interpreting, and displaying HR training data – including motivational social media-based data and progress sharing. The belt uses Nordic's nRF8001 RF chip that enables the belt to run for up to 1.5 years from a CR2032 coin cell under typical usage conditions (1-hour per day) while featuring an extremely slim (1.1cm-thick) and compact (3.8 x 6.5 cm) plastic sensor housing that supports a soft fabric finished belt product weighing just 46g (less than the weight of two AA batteries). "This is not only the first Bluetooth low energy product Dayton Industrial has developed but also the slimmest wireless heart-rate belt we have ever produced," said Johnson Chan, Product Engineering Manager at Dayton. "We have partnered with Nordic Semiconductor for many years and will continue to do so as we roll out further brand new Bluetooth low energy sports & fitness product platforms in the future." Over half the ULP heart-rate belts shipped globally last year were manufactured by Hong Kong-based Dayton (as measured by sales revenue and according to InMedica, a division of IMS Research). "Heart rate monitors are one of the first and most sought after use cases for Bluetooth low energy," said Geir Langeland, Nordic Semiconductor's Director of Sales & Marketing. "This Dayton product platform will now sit alongside established ANT+ interoperable HR belt products and other non-interoperable proprietary alternatives, and give consumers an even wider choice when it comes to monitoring their heart rate and so support an even more vibrant HR monitoring market with solutions for everyone." Bluetooth low energy (now a hallmark of the latest Bluetooth v4.0 specification) has been designed from the outset to extend Bluetooth wireless connectivity to compact, coin cell-powered devices such as sports & fitness monitors. Nordic has been at the forefront of the group that defined the Bluetooth low energy specification since becoming a foundation member of Nokia’s Wibree Alliance in 2006 and the Alliance became part of the Bluetooth Special Interest Group (SIG) in June 2007. Broadcom has developed a tuner for cable TV systems that spans the whole 1GHz bandwidth, replacing multiple tuners and providing a fast channel change regardless of the frequency. It has integrated the industry's first 1GHz Full-Band Capture digital tuning technology into three new 40nm hybrid IP cable set-top box (STB) and DOCSIS 3.0 gateway SoC solutions. These deliver the cable tuner density and performance that operators need to convert current cable systems to IP-based video platforms. This provides scalable bandwidth while reducing power, cost and simplifying cable tuner design while accelerating the deployment of DOCSIS 3.0 cable gateways and hybrid IP cable STBs. Hybrid IP cable STBs will more efficiently bring additional video streams and IP services to connected devices in the home ecosystem and are expected to grow at 40 percent through 2014. "Driving the next frontier in cable TV, Broadcom's breakthrough in tuner design reduces the cost to transition current cable platforms to hybrid IP-based solutions, proliferating IP content delivery and services throughout the home and to connected devices," said Dan Marotta, Executive Vice President & General Manager, Broadcom's Broadband Communications Group. Digital tuning: engineered with new enhanced signal processing techniques that exceed the most challenging performance requirements demanded by operators. Bandwidth deployment flexibility: any demodulator can tune to any frequency removing wideband "block" tuner restrictions. Reduced power consumption: more than 50 percent reduction with new tuner architecture. Faster channel change: FastRTV channel change technology paired with Full-Band Capture provides quick channel change regardless of frequency. Reduced system cost: dramatically minimizes the number of components by replacing up to nine cable tuners in a system with only one FBC digital tuner supporting as many demodulators as required. Broadcom's 40nm 8-QAM BCM3128 and 4-QAM BCM3124 cable multi-receiver SoCs and the 400 Mbps BCM3383 Euro/DOCSIS 3.0 cable gateway SoC are the industry's first fully integrated solutions to support FBC technology and are now shipping to customers. IBM researchers have developed the first integrated circuit fabricated from wafer-size graphene, and demonstrated a broadband frequency mixer operating at frequencies up to 10GHz. Designed for wireless communications, the graphene-based analogue integrated circuit could improve today's wireless devices and points to the potential for a new set of applications. Graphene, the thinnest electronic material consisting of a single layer of carbon atoms packed in a honeycomb structure, possesses outstanding electrical, optical, mechanical and thermal properties that could make it less expensive and use less energy inside portable electronics like smart phones. The integrated circuit consists of a graphene transistor and a pair of inductors compactly integrated on a silicon carbide (SiC) wafer, overcomes these design hurdles by developing wafer-scale fabrication procedures that maintain the quality of graphene and, at the same time, allow for its integration to other components in a complex circuitry. "Just a few days before IBM commemorates its 100th anniversary, our scientists have achieved a nanotechnology milestone which continues the company's century-long pursuit of innovation and technology leadership," said T.C. Chen, vice president, Science and Technology, IBM Research. "This research breakthrough has the potential to increase the performance of communication devices that enable people to interact with greater efficiency." The breakthrough is also a major milestone for the Carbon Electronics for RF Applications (CERA) program, funded by DARPA. In this demonstration, graphene is synthesized by thermal annealing of SiC wafers to form uniform graphene layers on the surface of SiC. The fabrication of graphene circuits involves four layers of metal and two layers of oxide to form top-gated graphene transistor, on-chip inductors and interconnects. The circuit operates as a broadband frequency mixer, which produces output signals with mixed frequencies (sum and difference) of the input signals. Mixers are fundamental components of many electronic communication systems. Frequency mixing up to 10 GHz and excellent thermal stability up to 125 degrees C has been demonstrated with the graphene integrated circuit. The fabrication scheme developed can also be applied to other types of graphene materials, including chemical vapor deposited (CVD) graphene films synthesized on metal films, and are also compatible with optical lithography for reduced cost and throughput. The US Air Force has awarded General Dynamics Advanced Information Systems a $7.8m contract to develop an Open System Architecture (OSA) common back-end digital processor for the entire family of Air Force radio frequency (RF) electronic devices, to include radars, SIGINT sensors, electronic-warfare and communication systems. Under the contract, General Dynamics will use open interface standards to develop modular, "plug and play," multi-mission electronic back-end processors that leverage technologies developed under other OSA initiatives conducted by the Office of Naval Research. Back-end processors are used to analyse sensor signals, once they have been converted from analogue to digital formats, that have been collected by the RF devices. General Dynamics will provide a single family of processors capable of handling the digital processing needs of all Air Force RF systems. Because the General Dynamics open architecture eliminates the need for proprietary interfaces, the Air Force will benefit from competition from multiple vendors and will be able to take advantage of rapid technology upgrades as well as cost savings throughout the lifecycle of the processor. Work under the contract will be performed in Bloomington, Minn., Fairfax, Va., Waimea, Hawaii and Ypsilanti, Mich.
"Leveraging our proven open architecture and open business model, General Dynamics will provide the Air Force with an increased airborne and spaceborne processing capability and a significant reduction in life-cycle cost," said Mike Tweed-Kent, vice president and general manager of Mission Integration Systems Division for General Dynamics Advanced Information Systems. GE Intelligent Platforms has developed a miniature rugged automatic video tracker that is easily integrated using standard or custom format carrier cards, saving time, effort and cost and minimizing program risk. The ADEPT3000 has been optimized to perform real-time detection and tracking across the full range of military and aerospace electro-optical system applications. Designed for the detection and surveillance of a moving object, the ADEPT3000 is small (34mm x 24mm – approximately the size of a microprocessor), light weight (around six grams) and consumes minimal power (~1W) so that it can be deployed in highly confined spaces such as small unmanned aerial vehicles or man-portable devices, or simply integrated directly into a gimbal. Determining and tracking an object at longer ranges is aided by a number of features that include improved optics, precision platform dynamics and higher resolution sensors. The ADEPT3000 natively supports standard definition analog video, and once a target has been acquired, advanced pre-processors discriminate it from heavy clutter, mist, dust and other atmospheric challenges. The resulting signal is passed to sophisticated algorithms for track path analysis, optimized for specific operational scenarios. Peregrine Semiconductor has developed a family of 5bit, 32-state digitally controlled variable capacitor to provide a monolithically integrated impedance tuning for RF applications. The PE64904 and PE64905 DuNE Digitally Tunable Capacitors (DTCs) enable wide-band tunable networks, minimizing mismatch losses, improving system efficiency and reducing radio complexity for a cost-effective tuning solution. Design applications for the new DTC devices range from tunable filters and matching networks to RFID, antenna tuning and other wireless communications where tunability and optimal system performance is critical. Both devices are manufactured on Peregrine’s UltraCMOS silicon-on-sapphire (SOS) process technology which optimize the devices’ high RF power handling (>+38 dBm @ 50 Ω, 30 Vpk RF); wide power supply range (2.3-3.6V); low current consumption (typ. 140 μA at 2.6V); built-in bias voltage generation and exceptional 2kV HBM ESD tolerance on all pins. The new DTCs maintain excellent linearity: IIP2 is +105 dBm and IIP3 is +65 dBm (typ) across a wide operating range of 100 MHz to 3 GHz, and, as with all UltraCMOS-based devices, the DTCs are immune to latch-up. The Company’s HaRP™ technology design enhancements have been applied to deliver excellent harmonic performance of 75 dBc (2fo and 3fo) across the tuning range; fast 12 μs switching time; 10 μs settling time; and low-power operation (140 μA). The PE64904 and PE64905, scheduled for volume production in Q3 2011, are housed in 2x2mm 10-lead QFN packages and priced at $1.45 each (10K units). Evaluation Kits for each device, which are designed for accurate DTC impedance measurement and loss, include cables and USB interface board and are priced at $168.00 each. Certicom, a wholly owned subsidiary of Blackberry maker Research In Motion (RIM) and an industry leader in Elliptic Curve Cryptography (ECC) security is to use the APS3 CPU from French chip designer Cortus in its hardware security technology. “The Cortus APS3 was a good fit for our design." said Dan O'Loughlin Director of Hardware Technology at Certicom. "The APS3 helped us meet our design goals and provided the required processing performance. The APS3 co-processor interface allowed the integration of our specific algorithm elements directly into the instruction set enabling efficient firmware to be developed." The Cortus APS3 is a fully 32bit processor designed specifically for embedded systems. It features a tiny silicon footprint (the same size as an 8051), very low power consumption, high code density and high performance. A full development environment is available, which is available for customization and branding for final customer use. The ecosystem around the APS3 is rich and well developed, it includes a full development environment (for C and C++), peripherals typical of embedded systems, bus bridges to ensure easy interfacing to other IP and system support and functions such as cache and memory management units. For the most demanding designs the APS3 can be used in a multi-core configuration. The APS3 processor core is currently in production in a range of products from security applications to ultra low power RF designs. Renesas Electronics and its subsidiary, Renesas Mobile have launched a new 32bit microcontroller (MCU), the SH7734, with improved graphics and network functionality for automotive, industrial and consumer applications that include an LCD panel. The SH7734 MCU features an Open VG compliant graphics accelerator and a Gigabit Ethernet controller. The new SH7734 MCU features built-in Open VG 1.1 2D graphics display functions, allowing animation-like displays to be implemented with minimal amounts of memory to improve human-machine interfaces (HMI) in application equipment. To provide high-speed data communications, the SH7734 MCU also includes a built-in Ethernet controller with a data rate of 1Gbit/s. To support higher performance systems and system miniaturization, 16 versions of the SH7734 are available and include offerings with and without an SD memory card interface. It has become increasingly common for equipment that includes a display to require advanced graphics functionality. In addition to higher performance and higher resolution LCD panels, more and more products, such as OA equipment, home appliances, games, and security systems, also acquire information from multiple external sources over a network and display it in a variety of different ways. This has created a strong demand for graphics functions such as those in the Open VG to enable the implementation of even more complex HMIs. To address these needs, single-chip solutions are required that not only provide high-functionality and high-resolution display functions and high-speed network connectivity, but also integrate powerful peripheral functions that can contribute to system miniaturization. Open VG compliant graphics accelerator for improved operability in end products; by including graphics display functions that conform to the Open VG 1.1 specifications, the SH7734 MCU can enable, with minimal memory and at high speed, visual effects such as animated display as well as enlargement, rotation, deformation, and colour gradation in figures and text. Digital RGB output pins provide full-colour (16.77 million colours) WVGA size (800 × 480) or high-colour (65,536 colours) XGA size (1024 × 768) displays to support increases in the size and resolution of end product screens. On-chip Gigabit Ethernet controller, GMII (Gigabit Media Independent Interface) that complies with the IEEE 802.3 standard. The built-in Ethernet interface supports data rates of 10 and 100 Mbps and can also be connected to 1Gbit/s Ethernet LANs. The SH7734 MCU also incorporates a dedicated direct memory access (DMA) controller to reduce CPU overhead and enable smooth, large-capacity data transfers. SH-4A CPU core operating at 533MHz and is approximately 1.6 times faster than the existing SH7764 MCU. The SH7734 MCU can quickly perform the audio processing, diverse display control operations, and signal processing required for high-functionality HMIs. Built-in memory controller that supports DDR2 and DDR3 SDRAM with a maximum clock frequency of 300 MHz. The controller provides memory bandwidths of up to 1.2 gigabytes per second (GBps) to support large-capacity data transfers. The SH7734 MCU will be available in 16 versions that differ in the combination of SD memory card interface, CAN interface, and other hardware features, allowing system designers to select the version best suited to the specifications of their applications. The SH7734 MCU is provided in a lead-free 440-pin BGA package. The technologies used in the new SH7734 MCU will continue to be applied to Renesas Mobile’s future R-Mobile series of system on chips (SoCs). Taiwan’s Silicon Integrated Systems (SiS) has licensed the new superscalar multiprocessing MIPS32 1074Kf Coherent Processing System (CPS) for next generation designs based on the Android operating system. “Android is fundamentally changing the embedded world, enabling the industry to move beyond fragmented, proprietary operating systems that use a number of different kernels, to a single framework for application development. SiS and MIPS share a vision of how the power of Android will transform the consumer entertainment experience in the digital home. We are excited to work with SiS and other members of the Android on MIPS ecosystem to help make this vision a reality,” said Art Swift, vice president of marketing and business development, MIPS Technologies. “We have collaborated closely with MIPS to deliver an ideal user experience through Android in our MIPS-Based internet TV solutions. With our highly competitive products, we are helping to expand the internet TV market segment beyond the high-end into the mainstream. With our next-generation chip based on the 1074K CPS, targeting 1GHz frequency, our goal is to enable more consumers to enjoy cloud entertainment in the digital era,” said Michael Chen, president of SiS. A new highly-integrated internet TV platform from SiS uses dual core MIPS processors to support customized widgets and support for popular services including YouTube, Facebook, eBay, Flickr, weather and finance, as well as online film rental. It supports high-end graphics and enhanced video processing as well as Adobe Flash Player 10.1 for Flash and video streaming on TV. It also supports video on demand recording and Skype for internet communications. It is designed for seamless interoperability with other Android devices such as tablets and smartphones, which can be used for remote control and video sharing. With its license of the MIPS32 1074K CPS, SiS will be able to leverage a new level of performance for its next-generation designs. The 1074K CPS was designed to bring multicore performance to the next generation of internet-connected multimedia products such as digital televisions, Blu-ray players and set-top boxes (STBs), as well as home/wireless networking products and tablet computers leveraging the popular Android operating system. Rapidly increasing mobile data use by consumers and businesses will fuel growth in wireless point-to-point radios says a recently released Strategy Analytics GaAs and Compound Semiconductor Technologies Service (GaAs) Data Model. The report, “Wireless Point-to-Point Radio Component Demand,” forecasts that wireless point-to-point radios, used to backhaul mobile data, will grow from nearly 1.4 million in 2010 to slightly more than 2 million in 2015. This growth in demand will account for $300 million of GaAs device revenue in 2015. Strategy Analytics also forecasts that the Asia-Pacific region will account for slightly more than 50 percent of wireless point-to-point radio shipments over this period. This Strategy Analytics analysis indicates strong growth for point-to-point radios above 60 GHz, but this segment will account for less than 3 percent of the total radio volume. According to this Data Model, the highest volume of point-to-point radio shipments will occur in the 10-20 GHz frequency range, accounting for nearly 46 percent of shipments over the forecast period. The Data Model highlights dynamics in the wireless point-to-point radio market. It segments radio shipments by frequency, application and geography. The report also estimates total revenues and shipment quantity for GaAs devices.